Owner-operators in the trucking industry can use all the tax breaks available to keep their cash flow up. With all the changes in tax breaks and tax cuts, it is essential to stay up-to-date, especially if you are doing your taxes. The most important thing to remember throughout the year is to keep your receipts. The following expenses are deductible for most owner-operators in the trucking industry. Depreciating Property – Your business equipment, whether it is your truck, trailer or office equipment depreciates with use and time. Casualty Financial Loss – Any equipment damage from accidents or weather-related accidents. Home Office – If you manage your trucking business from an office within your home, you can deduct the expenses and size of your office. Business Related Loans and Mortgages – Any interest payments made throughout the calendar year are deductible. Phone and Internet Access Fees – Your home phone, mobile devices, and internet used for business purposes are deductible. The IRS only allows 50% of access fees as deductions. ATM, Bank, and Credit Card Fees – Any business owner related fees incurred throughout the year. Satellite Radio – Using satellite radio for weather and traffic information the subscription fees are deductible. Maintenance Costs – Any maintenance or cleaning performed on your truck and trailer is deductible. However, if you do your own maintenance, you can only deduct parts costs. Fuel – Fuel costs you pay for out of pocket includes fees for fuel cards that are not reimbursed from any other business. Licenses, Permits, and Government Fees – Any fees you pay to keep your business legal is deductible, along with half of the self-employment tax. However, any expenses you paid for traffic violations or government penalties are not deductible. 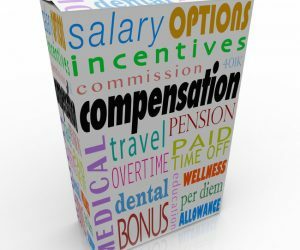 Per Diem Costs – These costs differ for owner-operators with their own trucking companies than those who drive for a carrier as an independent contractor. For owner-operators who own their business, you are allowed a daily per diem amount for meals and other expenses, including lodging. Use Schedule C tax form to report the costs. For independent contractors with a carrier, you can deduct only the expenses for which you are have not been reimbursed. Retirement and Insurance Plans – For retirement plans for you and your spouse, such as an IRA or Keogh, all contributions are deductible. Insurance plans that cover premiums paid for personal projects and company plans. Truck Lease – All lease payments, except the down payment is deductible when you have a lease-purchase agreement. When you own more than one truck and hire someone to drive that truck, you are then subcontracting their services. You will give each subcontractor a Form 1099-MISC for payments totalling $600 or more for that calendar year. You will then file IRS Form 1096 with a compilation of all 1099-MISC payments. This form must be submitted by January 31st to avoid penalties. The Tax Cuts and Jobs Act is a reform law which went into effect December 2017. 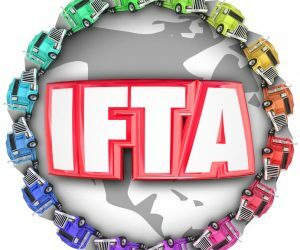 Although there were many concerns when this law was proposed, owner-operators will continue to claim the daily per diem. The reform law allows for a 20% deduction for pass-through entities; this will apply to many owner-operators. It is recommended for owner-operators to speak with a business service professional to ensure they are getting the most savings out of the new tax system. Switching from one business entity to another may be necessary. Eighty percent of owner-operators net profit is all that will be taxed beginning with the 2018 tax year. Most will see a savings of $2000 or more with this new law and other tax deductions. The idea is the more you earn, the more you save. Company drivers, who are not independent contractors, will no longer be able to claim a daily per diem, in turn spending an average of $600 a year in expenses. The new law will remove the health insurance mandate for owner-operators, but not until the 2019 filing year. Until then, owner-operators will continue to be penalized under the Affordable Healthcare Act if they do not have insurance coverage. Owner-operators will benefit from planning for their future regarding tax cuts and savings. Tax rates often change, therefore, keeping up-to-date on changes. When tax rates drop, make sure to complete all expenses before the end of the current filing year. Also, it would benefit to refrain from depositing income until after the beginning of that filing year with lower tax rates, as the revenue will be taxed at a lower price. Street clothing – Only company required uniforms, and protective clothing is deductible. Income lost due to deadheading. Income lost due to downtime. Your time spent performing repairs and maintenance on your truck and trailer. 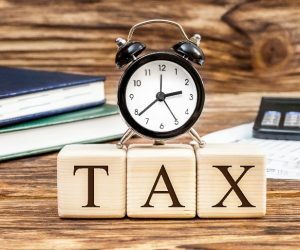 Preparing and filing your own taxes can save you time; however, there are so many changes you should ask yourself if it is worth the time you save. When you choose to do your taxes, ensure you are aware of all changes, keep all your receipts, and file on time. It will be easier to prepare your taxes if you keep your receipts organized throughout the year. Do not forget to keep all your tax receipts for at least three years. Maintaining records make IRS inquiries and audits less stressful. It is highly recommended to seek professional tax help from a tax preparer when filing taxes.